The actual initiation of the band occurred in 1976, recalls Gilles, during Easter, when Christophe approached him with his compositions and lyrics in Corsican; by that time Gilles' brother, Olivier was an accomplished drummer and the three of them began working on those compositions. 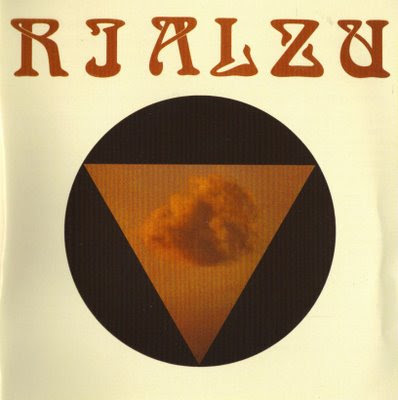 In summer of 1976, under the name Rialzu, they performed several concerts as well as a recording for the French radio with Olivier in the drum seat, Francois as the bassist now, Dominique (Dume) Gallet playing violin and as vocalist. In the summer of 1977 more shows followed, where Gilles was absent due to his stay in the USA, and aided by vocalists Patrizia Poli and Patrizia Gattacecca. In May 1978, after reaching a deal to record an album in co-production with studio Ricordu, the band recorded their album with a reinforced lineup: vocalists Francoise Auge and Jean-Philippe Gallet (Dominique's brother). The recording procedure on an 8 track tape recorder was tough as they only had one day to record and mix the album. the album was released in June 1978 in 1000 copies, distributed only in Corsica. It became a highly sought after and expensive LP and only with the reissue by Soleil Zeuhl in 2008 can this album now be appreciated by a wider audience. The reissue also features two live tracks from August 1976 and 1977 and a live video clip. The band disbanded shortly after with Dominique and Christophe joining the Corsican band Canta U Populu Corsu.